The other day I was riding my bike around Hains Point when a helpful NPS Ranger asked if I knew about the ferry. When I told him I didn’t, he shared the details with me. Thanks, #NPSRanger. Throughout the summer (April – November), the Wharf runs a jitney across the Washington Channel to East Potomac Park. The shuttle dock at the Wharf is at the end of the Recreation Pier. 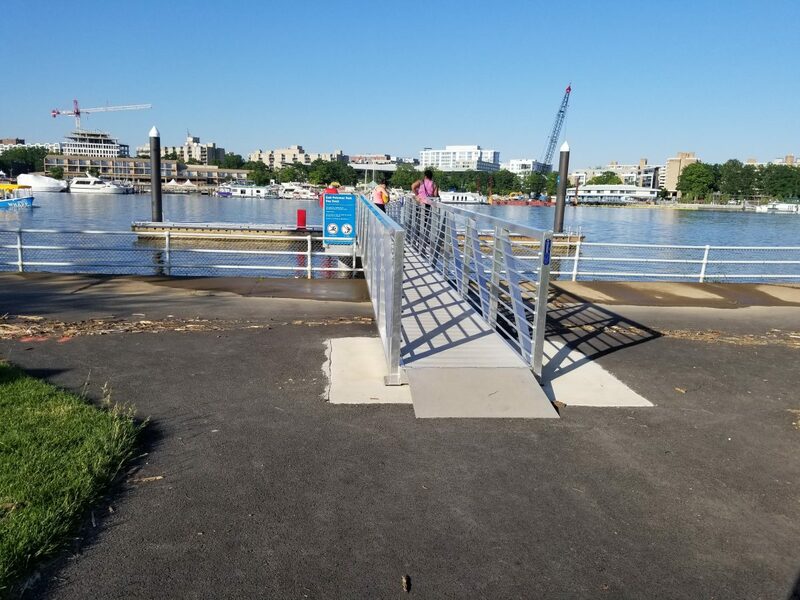 The dock on the East Potomac Park side is located on the water across from the East Potomac Park Putt Putt course. The ride takes about 1 minute, and are free! Bikes are allowed. It only runs during the day (from 12noon – 30 minutes before sunset, and 9am – 30 minutes before sunset on weekends). Check the schedule. There’s no call box. You can just go to the pier and wait. They’ll see you across the water and come over to pick you up. It’s an easy and quick way to get across the DC channel, and there’s so much to do on either side. 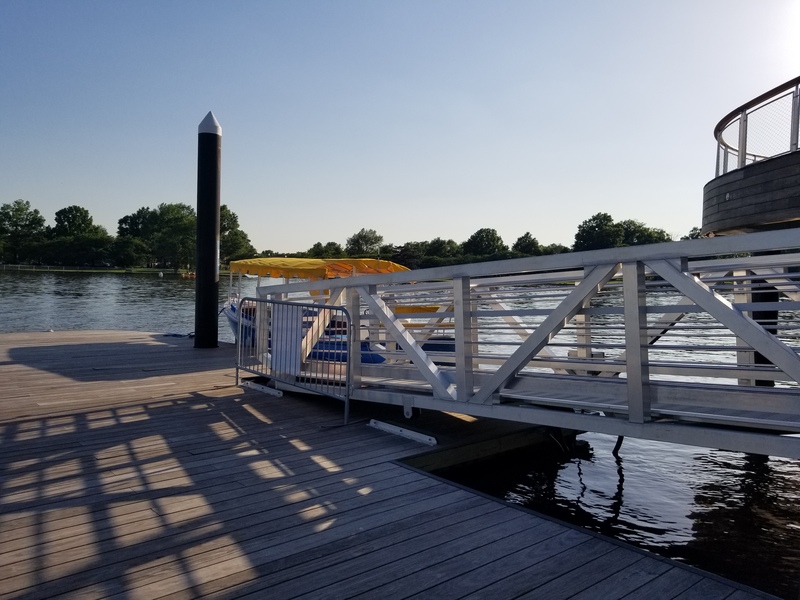 If you want to play golf, mini golf or tennis, ride your bike, go fishing, or relax and watch the planes land at Washington National Airport then come over to East Potomac Park. 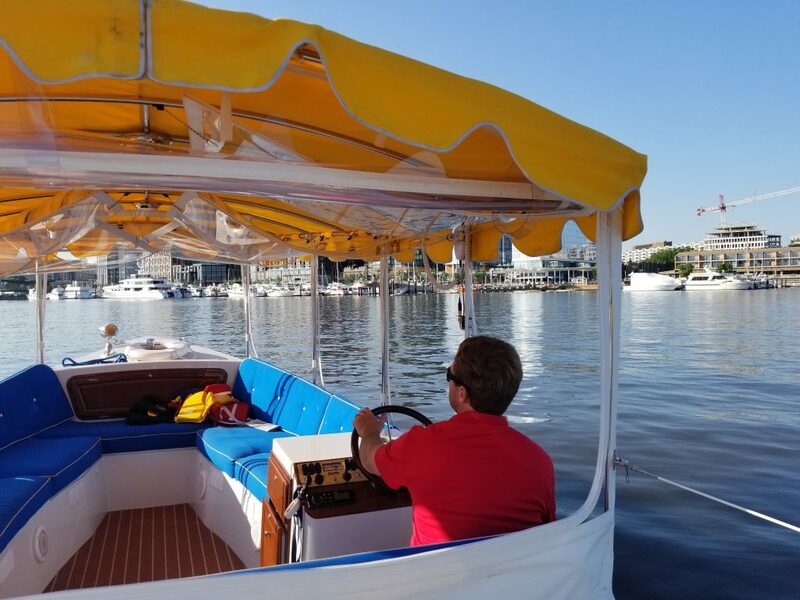 If you want to shop, eat, relax on swings, play oversized board games, or catch a show at Anthem, Pearl Street Warehouse, or Union Stage then head over to the Wharf side of the channel.